A locking system for ventilation and air-conditioning installations is to avoid leakage and be operated easily and safely in case of maintenance work. 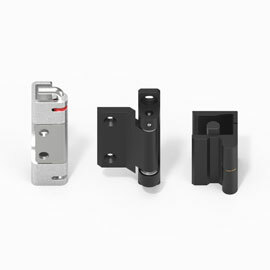 The new EMKA locking hinge meets these requirements. The Austrian company Walter Bösch GmbH & Co KG makes use of this expertise for its housing system "modul a". Besides the general safety requirements, EMKA takes the special needs of its customers into consideration when developing its products. For the Austrian ventilation and air-conditioning installation maker bösch the doors of the housing system have been adjusted individually and combined with the access functions of an HVAC installation. In addition to preventing the door from bursting open, this includes the opening, swinging and removing of the doors. 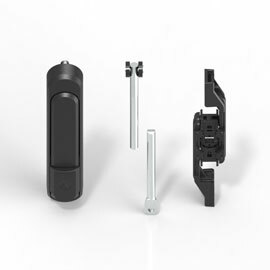 The combined function of a hinge and a lock ensures more flexibility in this respect. 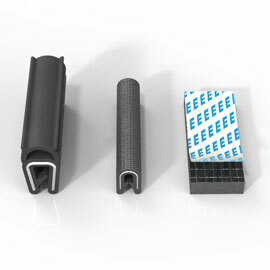 At the same time, the integrated compression function causes the compacting pressure to increase on the gasketing, which is also supplied by EMKA. 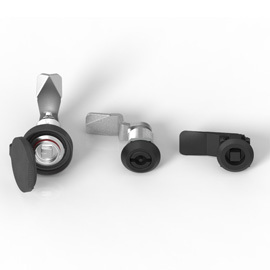 In addition, the adjustable compacting pressure of the doors adds to the safety by means of the lock. All in all, bösch obtains a stable, durable and flexible solution.